Massachusetts neon underglow usage is governed by the state's Code. All relevant laws, rules and regulations pertaining to vehicle lighting including car underglow in Massachusetts have been provided below. Make sure to examine the regulations carefully and do not use any restricted lights. Usage of neon underglow lighting is governed by Massachusetts Registry of Motor Vehicles, Section 22.07: Mounting and Display of other Aftermarket Lighting. Is neon underglow legal in Massachusetts? Massachusetts law specifically forbids the usage of after-market lighting and neon underglow. Therefore it’s our conclusion that in Massachusetts neon underglow is illegal. Furthermore MA laws prohibit the use of blue lights, and flashing lights, without special permits. By rigorous Massachusetts laws even installing underbody glow is illegal, so even if you intend to use it only on private property rather than while driving, do so at your own risk. Below are all relevant excerpts from Massachusetts Vehicle Code that limit, restrict or allow certain aftermarket lights to be installed on vehicles. No person shall mount or display any lighting device which does not comply with Federal Motor Vehicle Safety Regulations, 49 CFR Part 571, unless specifically allowed by M.G.L. c. 90, §7. Such prohibited devices shall include, but not be limited to, neon undercarriage lighting. Every motor vehicle registered in the commonwealth shall be equipped with a device to permit the front and rear directional signals to flash simultaneously, said device to be operated only when the vehicle is disabled or stopped in the event of emergency on or at the side of any way. Violation of section 7E of Massachusetts General Laws carries a fine of not less than $100 and no more than $300. Our information about car neon underglow laws in Massachusetts was last updated in 2018 and checked in 2019. In case any info we provided is not up to date or correct be sure to contact us so we can revise it. Thank you! Check our data with your local law enforcement or other relevant agencies! Massachusetts underglow laws in certain cities or counties may be different from state legislation. While we do our very best to provide the most accurate information about LED and neon street glow usage we will not be held liable for any potentially incorrect or misinterpreted info. Massachusetts Registry of Motor Vehicles, Section 22.07: Mounting and Display of other Aftermarket Lighting. Massachusetts, officially the Commonwealth of Massachusetts, is a state in the New England region of the northeastern United States. It is bordered by Rhode Island and Connecticut to the south, New York to the west, and Vermont and New Hampshire to the north; at its east lies the Atlantic Ocean. Massachusetts is the 7th smallest, but the 14th most populous and the 3rd most densely populated of the 50 United States. Many of Massachusetts' towns, cities, and counties have names identical to ones in England. 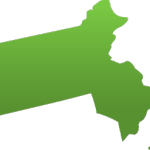 Massachusetts is the most populous of the six New England states and has the nation's sixth highest GDP per capita. Have questions about traffic or neon glow laws in Massachusetts?